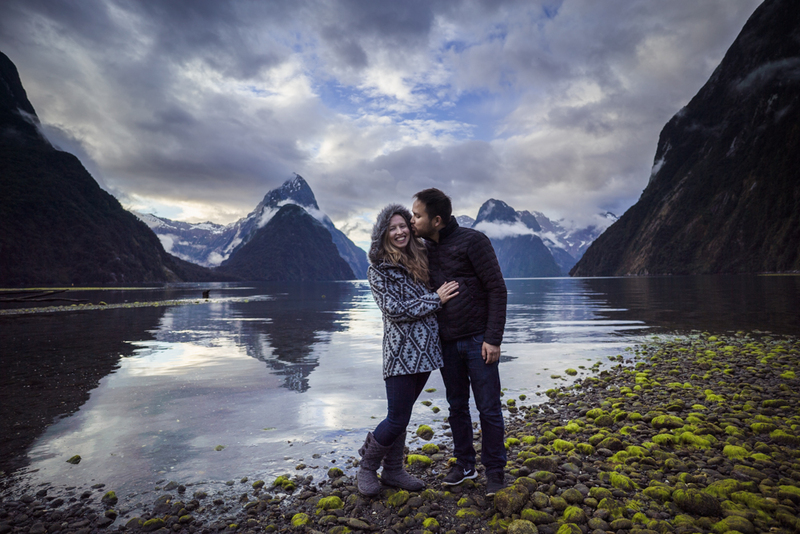 In the three weeks we spent in New Zealand, we drove entirely around both the North and South Island, experiencing some of the best New Zealand has to offer — without receiving a single infringement along the way. Here we share our guidelines for an unplanned, yet well prepared, campervan trip in New Zealand. And at the bottom of this post, you’ll find our “un-itinerary” — the unscheduled list of places we stayed and things we discovered along the way. Once that planning part is out of the way, you’re ready to dive into the un-planning, which consists mainly of learning the essential do’s and don’t’s of camping in New Zealand. This post is sponsored by Campervan Finder. 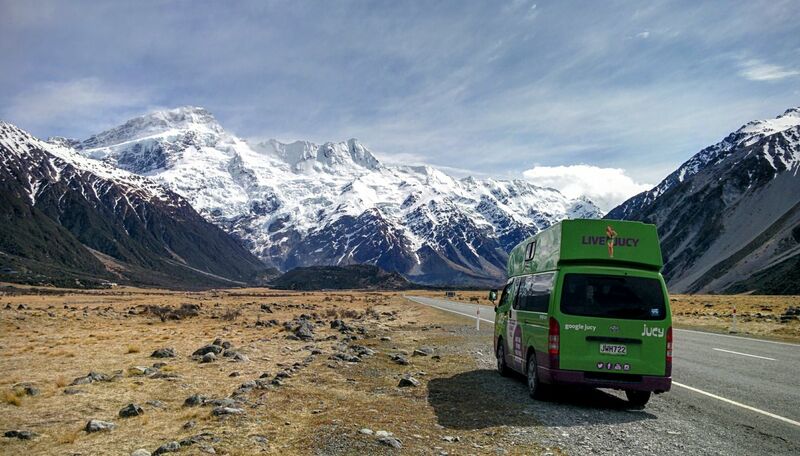 For the best rental rates guaranteed, book your New Zealand campervan rental through Campervan Finder. Keep left! They drive on the left in New Zealand. That means everything from your turn signal and wiper control to the side of the car you’re sitting on is flip-flopped. There are loads of one-way bridges here. You’ll need to know how to interpret the giving way (yield) signs. If the arrow representing the direction you’re driving is red, then you need to yield to oncoming traffic. Designated “Freedom Camping” areas require a self-contained vehicle certification, which means the vehicle has a grey water tank and a toilet. 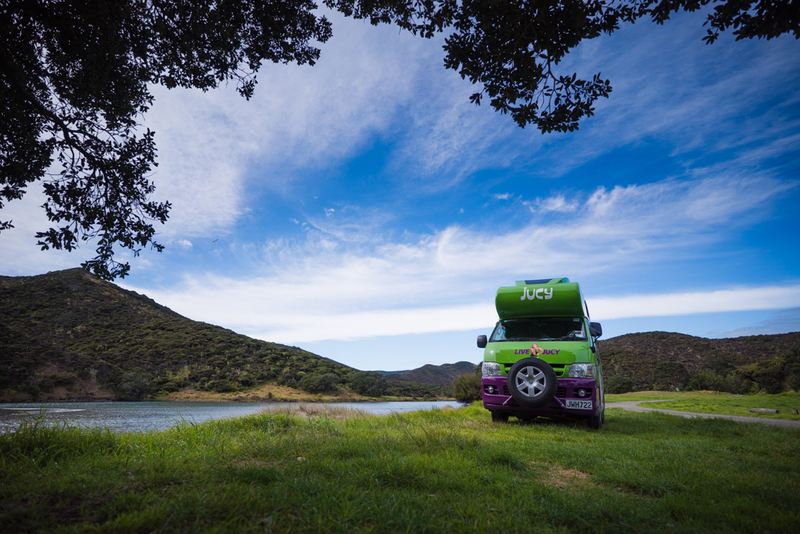 Book a self-contained campervan to have the most flexible camping options on your trip. You should download the Camping NZ App and then download the entire offline map of New Zealand (ideally before your trip, on decent WiFi). This will be your go-to resource for determining where you can legally camp overnight. While freedom camping generally offers better views at a better price (free), you won’t have the luxury of power for your campervan or hot shower facilities. 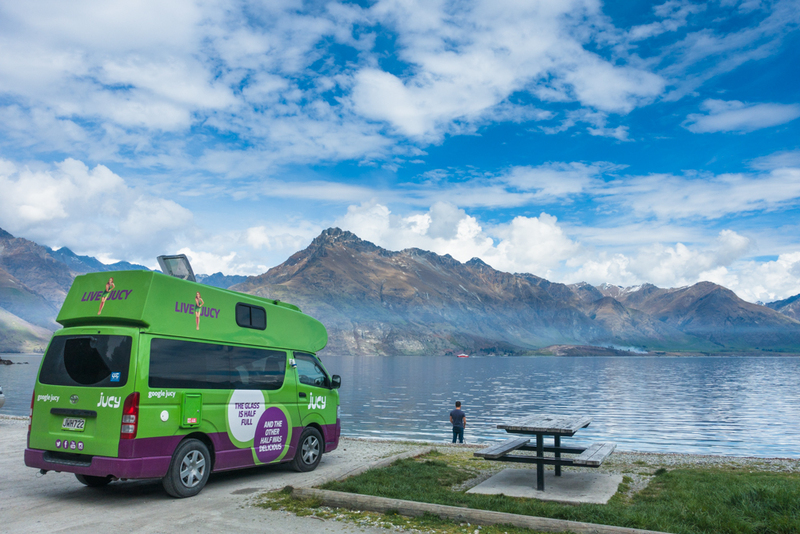 However, there are plenty of holiday parks with powered campervan sites and hot showers throughout New Zealand. They range in price from $13-$30 NZD per person, and we found the ratings and reviews on the Camping NZ App to be helpful and accurate when deciding which to choose. If you’ll be arriving after dark when the office is closed, you’ll want to call in a reservation during the day so you can get any codes necessary for WiFi and access to shower and toilet facilities. If you’re visiting in summer, you’ll almost definitely want a reservation, especially for a weekend or a popular destination. Speaking of calling, getting a local prepaid SIM card for your cell is neither difficult nor ridiculously pricey in New Zealand, and it will make it much easier for you to make camping reservations/inquiries as needed on the go. When we arrived in Auckland, Ian and I purchased a travel SIM plan from Vodafone, which we shared via cellular hotspot during our 3-week trip. We had pretty great coverage throughout our trip, only paying for campground WiFi a couple times. If you’re taking the Interislander Ferry between the North and South Island, you’ll find the lowest prices and most schedule options by booking online two or more days in advance. If you encounter any toll roads, fees are reasonable but need to be paid online within 5 days. Finally, you should absolutely flash your lights and wave at any oncoming campervans of the same brand you’re renting. At least all the Jucy vans do this, and it makes driving more fun! This would be the last piece of the preparation puzzle. Honestly, we spent little time on advance research and looked most things up as we went. We also had the benefit of several contacts in New Zealand eager to share their recommendations for things to do. A quick Googling of “New Zealand must do” will give you a great start. 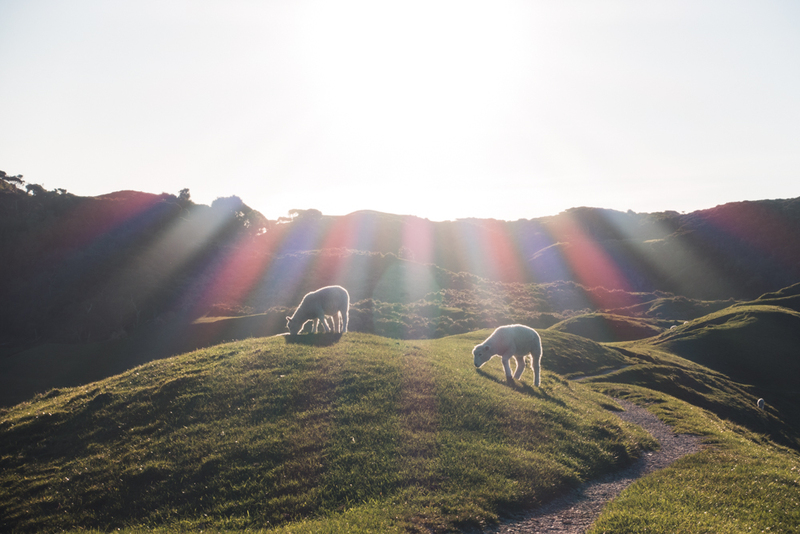 You can also snag some ideas from our New Zealand itinerary below. Yesterday we visited the lighthouse at Cape Reinga at the very top of New Zealand. The views here were spectacular. Many visitors skip the far north of NZ, but I’m glad we didn’t miss this! *Spend another day here to take a helicopter ride to tour the glacier. 📌 That Wanaka Tree, New Zealand This tree is perhaps the main attraction in all of Wanaka. Not a bad thing for a town to be famous for, though, if you think about it! Sea kayaking in Milford Sound! This was one of our favorite New Zealand activities. It’s better than a cruise because you can get closer to the waterfalls and wildlife. We saw the cutest fur seals twisting their necks around to look at us, and we even saw a penguin! (I didn’t even know there were penguins here.) Our guide, Ricky from @roscosmilford was friendly and knowledgeable, and we had a truly memorable afternoon out on the water. Unfortunately @inorman and I got a little over excited about the penguin and nearly capsized our kayak and my #sonyRX100iii went for a little swim, but this whole experience made it worth it. Time to go camera shopping when we’re back in the States! *This would be a great place to spend at least one night. Find this post useful? Have questions about what you should do or see in New Zealand? Let us know in the comments below!